While cataracts aren’t preventable, there are ways to lower your risks of developing them. 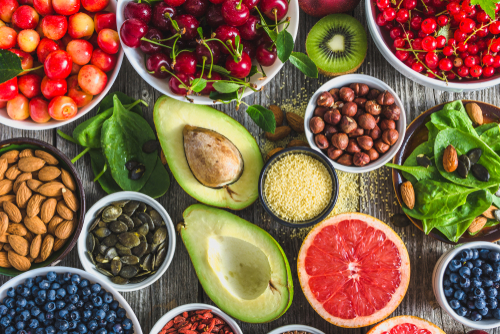 Read on to learn more about superfoods that could help lower your risk of developing cataracts! Can Certain Foods Help Lower My Cataract Risk? Yes! According to various studies, superfoods can make a difference! This is because they are rich in essential nutrients and vitamins. Even better is the fact that super foods can help lower your risks for other conditions as well! Eating healthy has never felt so good. Which Superfoods Help Lower Cataract Risk? These foods are not going to stop cataracts from developing altogether, but they can help! These are just a few of the many superfoods out there that are good for you, inside and out. Studies have suggested that increasing your vitamin C intake is beneficial. More vitamin C like orange juice can be key when reducing your cataract risk. Not only that, but vitamin C is necessary for the proper functioning of the cells of the eye. Ideas for incorporating into your diet: Try fresh squeezed orange juice with breakfast. Also, consider adding a peeled orange to your lunch since it’s much neater than trying to peel it at work. Green tea (and black tea) have been shown to cut your risk of cataracts in half. This is because green tea reduces glucose levels in your eyes. Another benefit of green tea is the powerful antioxidants present in it. These antioxidants – called catechins – protect our eyes from glaucoma. And every cup goes a long way as the effects can last in the body for 20 hours! Now you really do have a good reason to drink up. Ideas for incorporating into your diet: Consider swapping your coffee with green tea. Your eyes will thank you for it, along with the rest of your body. Drinking more tea helps with hydration, which is a key factor if you have dry eye. The magic bullet in salmon is a carotenoid called astaxanthin. Ever wondered why salmon and lobster are the color red? It’s because of the astaxanthin. It also protects our eyes from free radical damage and slows down the formation of cataracts. Even more, salmon’s rich in omega-3 fatty acids. Adding salmon to your regular diet has been proven to lower cataract risk. Broiled salmon with stir-fried vegetables is a quick and easy weeknight dinner. Not only do you get your astaxanthin in, but you get plenty of vegetables in your diet too! Why yes, carrots are actually good for your eyes. Bugs Bunny knew what he was talking about. Lutein is a major component of your favorite yellow and orange veggies and fruits. This includes bell peppers, pumpkin, and squash. Lutein is also a carotenoid that helps protect your eyes from sun damage. How to incorporate into your diet: Baby carrots are easily portable, crunchy, and make a great addition to your lunches. Wondering if there’s more to know about cataracts and your risk of developing them? Schedule a cataract screening at Stahl Eyecare Experts in the Long Island area today!